Discover what’s on in Cornwall this August and get involved with lots of family friendly and fun events including summer festivals, agricultural fairs, steam rallies and much more to help you to get the most out of your Cornish experience. Celebrate every child’s right to play at Playfest, part of the National Playday Campaign. Featuring a huge range of child-friendly activity from music and dance to yoga classes and circus skills workshops – not to mention stalls, face painting and a bouncy castle – this is a day out with the children that you won’t want to miss. 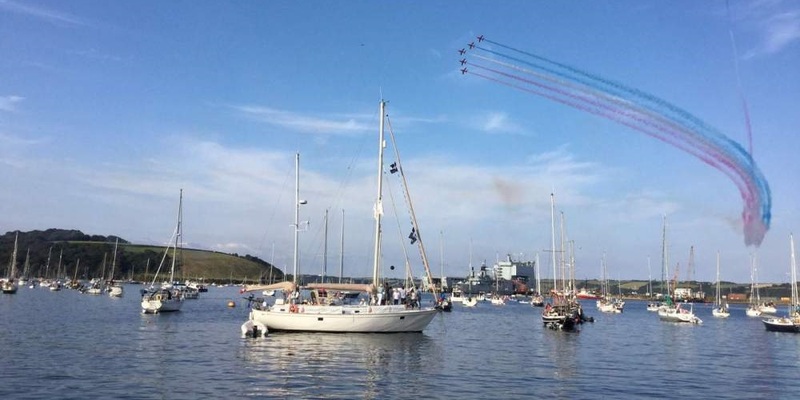 Falmouth Week is one big celebration of all that this popular Cornish city has to offer. As well as the famous sailing regatta that the week centres around, there will also be shore-side events for landlubbers such as a carnival, live action water polo and a summer market featuring artisan produce from across the South West. The 110th Camelford agricultural show is set to be the best one yet. As well as featuring the best in local farming and livestock – including horses, poultry, sheep and cattle – there will be a horticultural schedule, dog show and a demonstrations of a fast and furious dog sport called Flyball. Food stalls and other activities will also be available on the day. This fantastic fundraising family festival, hosted by the Holifield Farm Project, features over 30 live musical acts on a main and acoustic stage, including Echo Town, Antimatador and Mankala. There will also be food and craft stalls, workshops and a theatre, plus a children’s activity area and a wellbeing area, so you can relax and unwind while the kids play. With everything from tractors and diggers to motorcycles, vintage cars and even an RAF helicopter, Morvol features the best in local steam engines and vehicles. There’s also live music, stalls selling everything from clothes and books to plants and food, children’s entertainment including bouncy castles and face painting, and displays from birds of prey and working dogs for the whole family to enjoy. Whether you’re a folk music fan or just looking to expand your musical horizons with a great day out, Cornwall folk festival is well worth a visit. Over the August bank holiday weekend, live music will be performed around the market town of Wadebridge in cafes, pubs and bars, as well as outdoors, with acts including Martin Simpson, Ralph McTell and Rory McLeod scheduled to make an appearance. This traditional county fair includes everything from gun dog and pony displays to local food stands, a digger challenge and tug of war championships that everyone can get involved in. Special children’s events include kids’ cookery, a Punch & Judy show and a treasure trail. If you want a taste of real Cornish country life, this is the day out for you. This day-long festival celebrates Cornwall’s booming fishing industry with displays of locally caught fish and seafood, cooking demonstrations from top chefs, and a not-to-be-missed seafood auction to raise funds for the Fishermen’s Mission. There will also be live music throughout the day, a fishy treasure trail to keep the children entertained, and gig racing in the bay as rowers from around the country battle it out for the coveted Trafalgar cup.